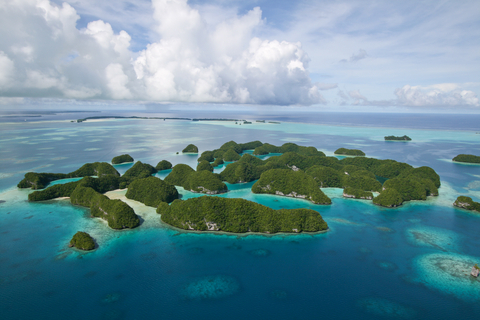 See my tips on How to Find a Job in Palau as a Foreigner. This tropical paradise located in the western part of the Pacific Ocean southeast of the Philippines has one of the easiest visa processes in the world. Particularly advantageous for U.S. citizens is that fact that you can get a 1-year visa once you arrive at the Palau International Airport (ROR). Want Professional Visa Help? If you are a U.S. citizen and want professional help with getting a visa, check out my post on the 4 Best Travel Visa Services in the United States. Worldwide Moving Guide: Everything you need to know in order to plan your move to 65+ countries around the world. Find an Embassy or Consulate: Check my Worldwide Embassy and Consulate Finder to find the diplomatic representation nearest you. Worldwide Jobs Guide: Be sure to check out my posts on how to find jobs in any country in the world. Worldwide Dating Guide: Also, check out my posts on the best online dating sites in 60+ countries around the world. Hey! I'm Addison Sears-Collins, the founder of Visa Hunter. You can learn more about me here. Join me in the movement by liking my fan page on Facebook, connecting with me on Twitter, or adding me to your circle on Google+. Visahunter.com accepts no responsibility or liability whatsoever with regard to the accuracy of the information contained on this site. Please read the Visitor Agreement and Disclaimer. If you think there is an error in the information, please bring it to our attention so that we can correct it. Also, some of the links above could be advertisements or affiliate links, which means that I will earn a commission (at no additional cost to you) should you decide to click on the links and make a purchase. I recommend sites from time to time, not because I earn money or get a tiny commission if you click on the affiliate links and make a purchase, but because, I want you to focus on the places that will deliver you the most value and the best results. Good luck! Copyright © 2019 Visa Hunter. All Rights Reserved.